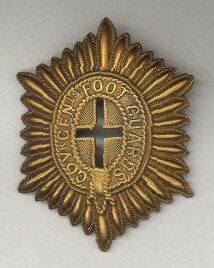 The GGFG provided one company to the Battleford Column. 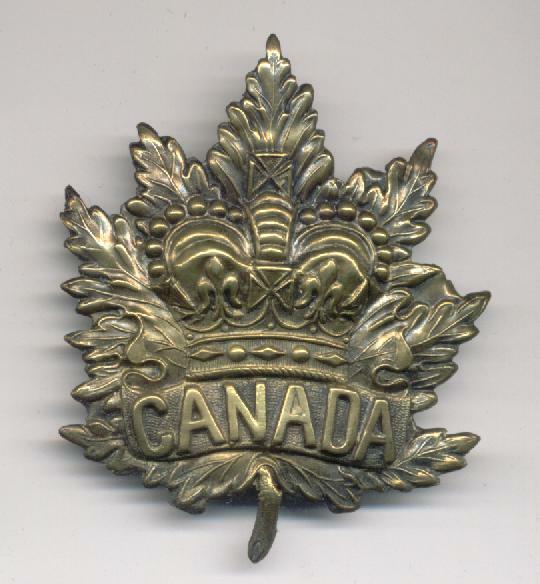 Perpetuates the2nd and 77th Battalions, Canadian Expeditionary Force, 1914-1919. 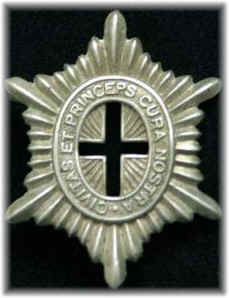 2nd Bn, C.E.F.- "Ypres, 1915, '17, Gravenstafel Ridge, St Julien, Festubert, 1915, Mount Sorrel, Somme, 1916, Pozieres, Flers-Courcelette, Ancre Heights, Arras, 1917, '18, Vimy, 1917, Arleux, Scarpe, 1917, '18, Hill 70, Passchendaele, Amiens, Scarpe, 1918, Drocourt-Queant, Hindenburg Line, Canal du Nord, Pursuit to Mons, France and Flanders, 1915-18"
VCs won by A/Cpl L. Clarke on 9 September 1916 and by A/Maj O.M. Learmonth, MC, on 18 August 1917. The Governor General's Foot Guards - "Somme, 1916, Arras, 1917, '18, Hill 70, Ypres, 1917, Amiens"
The Governor General's Foot Guards - "Ypres, 1915, Gravenstafel, St Julien, Festubert, 1915, Mount Sorrel, Somme, 1916, Pozieres, Flers-Courcelette, Ancre Heights, Arras, 1917, '18, Vimy, 1917, Arleux, Scarpe, 1917, '18, Hill 70, Passchendaele, Amiens, Drocourt-Queant, Hindenburg Line, Canal du Nord, Pursuit to Mons, France and Flanders, 1915-18"
The Governor General's Foot Guards (5th Canadian Guards), awarded battle honours for the Second World War for actions as the 21st Armoured Regiment (The Governor General's Foot Guards), as follows: - "FALAISE, Falaise Road, The Laison, Chambois, THE SCHELDT, The Lower Maas, THE RHINELAND, The Hochwald, Veen, Bad Zwischenahn, NORTH-WEST EUROPE 1944-45"
The Regimental history of the Governor General's Foot Guards [prepared by a Committee of the Guards]. Ottawa: Mortimer, 1948. 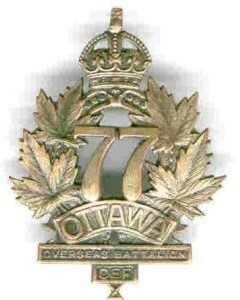 77th Overseas Battalion, Canadian Expeditionary Force, Ottawa [microform] [Ottawa? 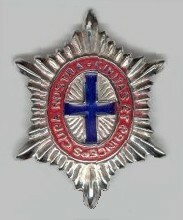 : s.n., 1916?] (Ottawa: Simmons Print).